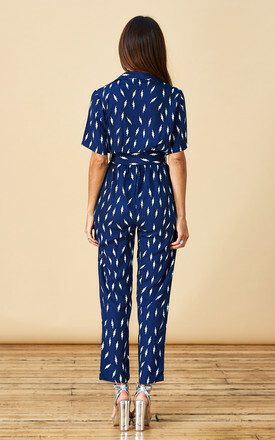 Make a statement this season with the new Harper jumpsuit. Features a thick waist belt, collar detailing, and short wide sleeves - this flattering and fun new style is everything you need! Team yours with trainers for a casual day look or mix things up with a pair of heels for that big night out.